As part of our current strategic plan, Impact 2020, Twin Cities Habitat has set a goal of increasing support for the Global Impact Fund by twenty-five percent. That's $1,000,000 in total over a 4 year period of our strategic plan! 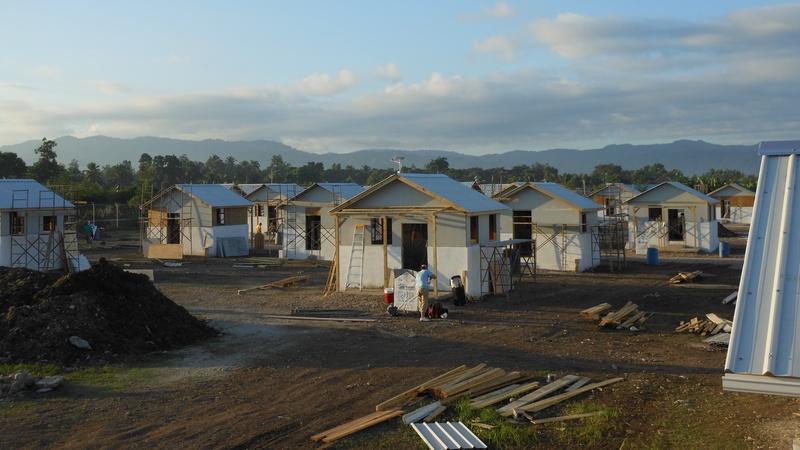 These resources will be raised to support our partner affiliates in Ethiopia, Haiti, Dominican Republic, as well as other high need affiliates as determined by Habitat for Humanity International. Additionally, Twin Cities Habitat leads Global Village trips, offering local volunteers an opportunity to connect with these affiliates and produce tangible results for Habitat for Humanity's global mission. 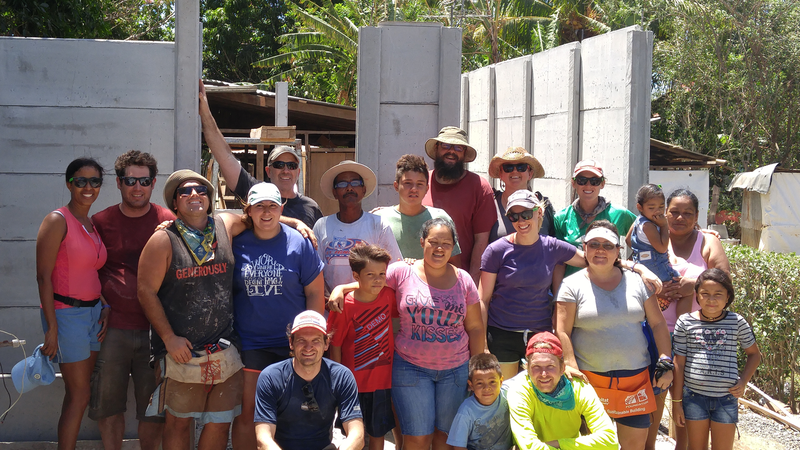 Annually, we coordinate a Global Village Gone Local build week on one of our local build sites to reunite past Global Village participants, connect the work locally, and raise financial support for the local and global mission. To learn more about our Global Engagement opportunities, please contact Noah Keller at globalvillage@tchabitat.org. Since Twin Cities Habitat’s inception in 1985, we have contributed more than $3,000,000 and pledged to support our international partners, making Twin Cities Habitat one of a handful of affiliates to surpass this major milestone of support of the global mission. 2010: Twin Cities Habitat made a four-year commitment to focus this financial support on Habitat for Humanity’s work in Costa Rica and Haiti. 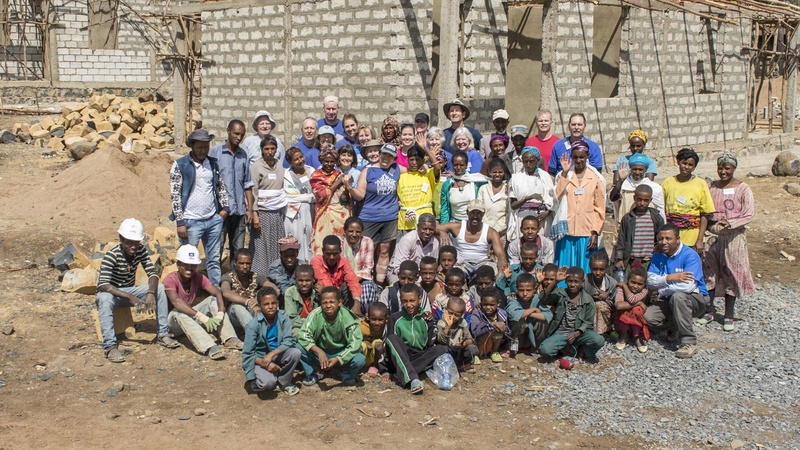 2013: We announced a new partnership with Habitat in Ethiopia. 2015: We renewed our commitments with Ethiopia and Haiti by integrating them into our new strategic plan. 2016: We led our inaugural trip to Ethiopia. 2018: We partnered with Dominican Republic. We invite you to read below and learn more about how Twin Cities Habitat for Humanity is changing lives in partnership with Ethiopia, Haiti, and Dominican Republic. Have you participated in a Global Village trip before, or would you like to learn more about these opportunities? Each summer, past trip participants reunite to build for a week as volunteers on a Habitat home right here in the Twin Cities. Thanks to everyone who supported our most recent Global Village Gone Local build in August! Stay tuned for info about the next opportunity to build with fellow team members and raise awareness for affordable housing here and around the world! Email us for more information and to sign up for this year's local build. You may also fill out the form on this page if you have any questions. Add your name and email to our list and we'll occasionally email you about Global Village trips or news. Twin Cities Habitat is excited about the many local connections to our partner affiliate in Ethiopia! In recent years, nearly 47% of our homebuyers in the Twin Cities have families in Ethiopia, and we are looking forward to furthering this connection and improving housing conditions in that country. On January 12, 2010, an earthquake with a magnitude of 7.0 struck the Caribbean nation of Haiti just 10 miles west of the capital, Port-au-Prince. Thousands of buildings and homes were destroyed. Millions of people were affected and more than 1 million people were left displaced or homeless. No one yet knows when Haiti will be ready to take on volunteer groups so there is no plan currently to include this as a tithe partner trip. Habitat Haiti currently hires local laborers. Twin Cities Habitat made Dominican Republic its tithe partner in 2018. Habitat Dominican Republic began in 1986 and has partnered with more than 12,000 families to improve their housing situations and increase stability to their lives. While many projects are new construction homes, it is also common for Habitat to work to strengthen existing structures in which families already live. The hurricanes of 2017 caused significant damage and distress in the Dominican Republic; Habitat Dominican Republic knows it will be part of the recovery efforts for years to come, as it has been after past disasters such as Hurricane George in 1998. Currently, there are home improvement and homebuilding projects in Haina, Los Alcarrizos, Samana, and San Juan.